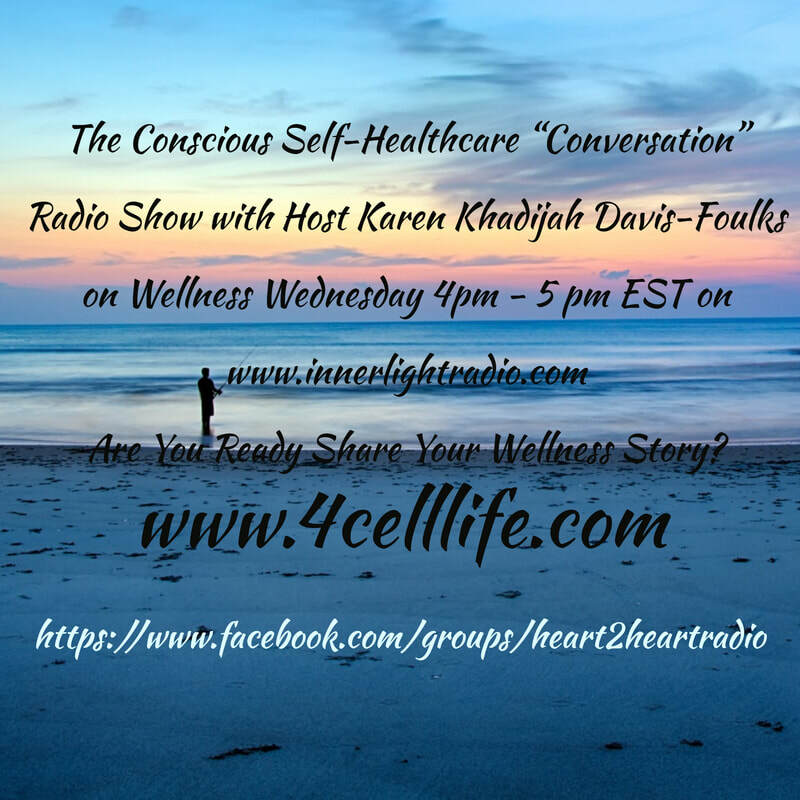 You are listening to a recorded show of a live broadcast of My Real Life Radio Show Heart2Heart Healthy Living with Karen Khadijah Davis-Foulks on the airwaves of www.innerlightradio.com the Healing Frequency. Now it’s time to check the pulse of your thoughts, your consciousness, and your actions. We are assisting each other with information so that we can make Conscious Self Healthcare M.O.V.E.S when making a choice (Mental Observation View Is Essential For Success) take moment breathe and Be Still…. Set back take a deep, deep, deep breath feel this breath moving up your body from the top of your toes to the top of your head now release and listen here as we take this universal love ride on the Friendship Train. Are you creating your life from a "man-made mindset of Human Consciousness"? God is a frequency of L.O.V.E. (528) Laws of Vibrational Energy and so am I and so are you. "Conscious Living Though Living Consciously is the key." Are you living life from the Zone of One Love, Self-Love?